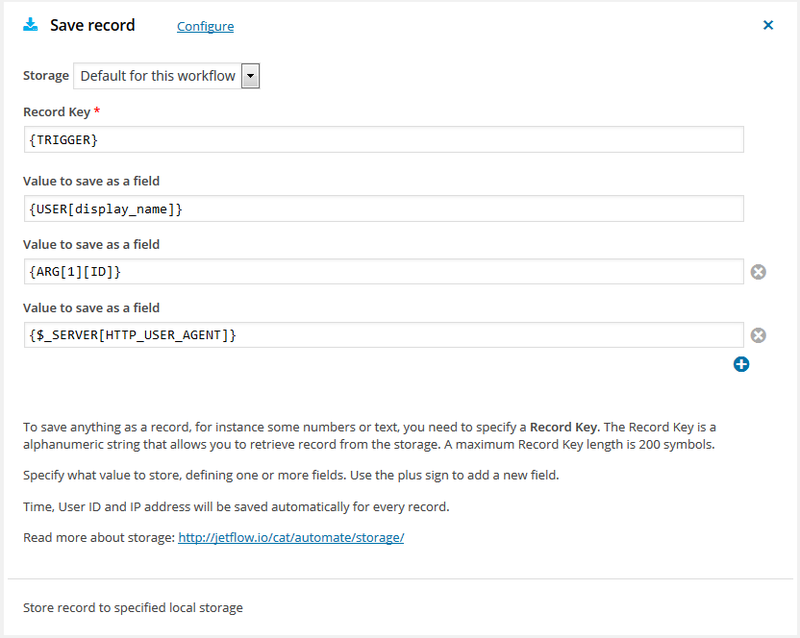 To save anything to the selected storage as a record, for instance some numbers or text, you need to specify a Record Key. The Record Key is a alphanumeric string that allows you to retrieve record from the storage with action Lookup record. A maximum Record Key length is 200 symbols. When you defining fields you have to use singular values like text or numbers. You cannot use a list any type as a field value. Use the plus sign to add a new field. Time, User ID and IP address will be saved automatically for every record.